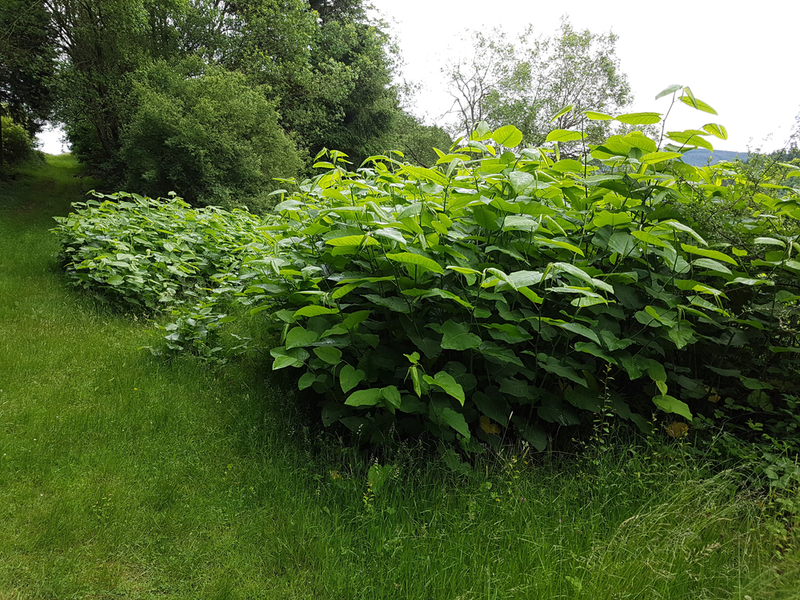 Did you know there is legislation regarding the disposal of Japanese knotweed in Manchester? While many people want to keep Japanese knotweed in their garden, it can cause a serious problem if left uncontrolled. If you’ve run into an overgrowth of this invasive plant, there are ways to properly dispose of it. Let’s briefly discuss what the laws are surrounding this plant and how you can dispose of it the right way if you’d like to remove it. And don’t forget, we offer vegetation clearance in Manchester, so you can always turn to us for help. There are two laws that cover this plant. The first is the Wildlife and Countryside Act 1981 and the second is the Environmental Protection Act 1990. Under each act, it is an offence to plant or grow species that grow in the wild on your own property, and Japanese Knotweed is one of these plants. However, if the plant grows in the wild or on your property without your assistance, then you simply have to take steps to keep it under control. There are several ways to dispose of Japanese knotweed. Although we primarily specialise in tree surgery in Manchester, we also provide vegetation clearance for Japanese knotweed, so please keep that in mind. Here are the best and legally acceptable ways to get rid of knotweed. Bury the plant at least 5 metres below the surface, if you can’t bury it to that depth, you must wrap it with a barrier and go at a minimum 2 metres below the surface. Cover the plant with a material that prevents it from growing back, such as a root barrier membrane layer. Don’t bury other types of waste with the knotweed. Also, be sure to contact the local EA via letter to make sure you can bury in your area. You can also burn this plant. However, you must contact the EA at least a week before you do along with a local environmental health officer if you are a business. Individuals aren’t required to do so. Be sure to get all bits and pieces of the plant on the fire if you intend to burn your plants. If you aren’t sure how to remove Japanese knotweed in Manchester, then give us a call. We’ll take care of it all.